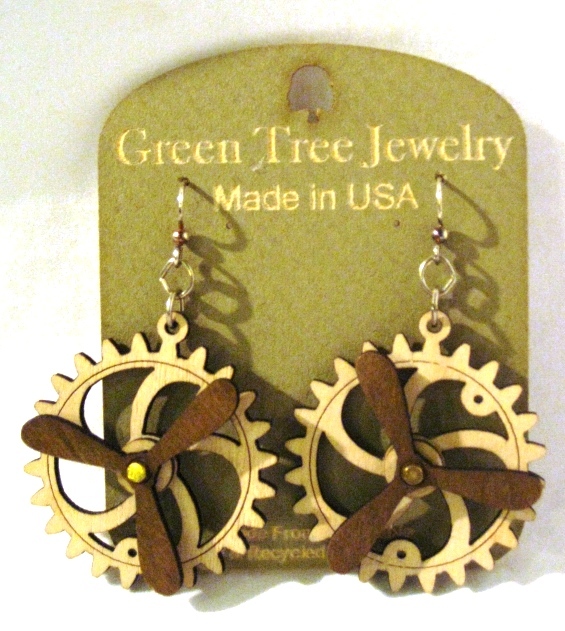 Laser carved wooden earrings. Steampunk look. Actual working, turning propeller.